Most medical benefits establish premium rates by a coverage type (Employee Only, Employee + Spouse, Employee + Child, Family). 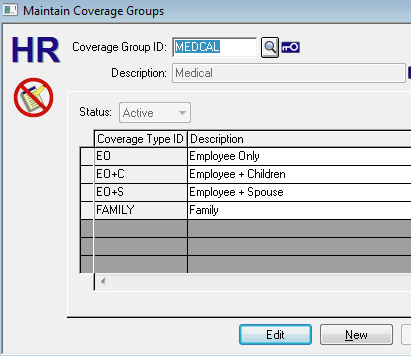 Coverage Types are assigned to a specific Coverage Group. You do not have to set up Coverage Groups/Types at this point but it is a good idea.